On Tuesday we will be publishing a new book for Holy Week – The Sun Slowly Rises, which has been put together by Neil Paynter from the contributions of many members, associates and friends of the Iona Community. We hope you find it inspiring and useful. Contributors include Alastair McIntosh, Alison Swinfen, Ian M Fraser, Elaine Gisbourne, David Rhodes, Peter Millar, Stephen Wright, Bonnie Thurston, Nicola Slee, Brian Quail and other members, associates and friends of the Iona Community. Digital download: A pilgrimage for the start of Holy Week, mainly in the form of dramatic scripts for each stopping point. 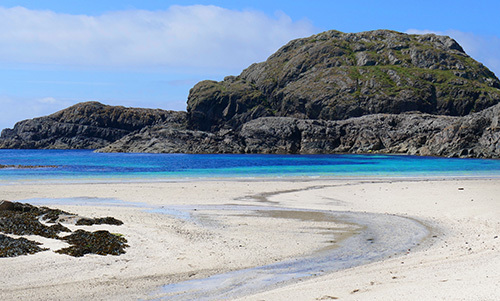 Although based on the weekly Iona pilgrimage, it can be adapted for any local environment, including urban ones, or even be used within the church itself. Taken from the book The Cross in the Marketplace, by Dave Broom. A guided meditation on the entry into Jerusalem on Palm Sunday, taken from the book Dirt, Mess and Danger, by Glendon Macaulay. 2 pages. Digital download: An original liturgy for the Monday of Holy Week (based on John 12:18, Jesus anointed at Bethany), to help worshippers enter the events of Holy Week in a way relevant to modern life. Digital download: Worship resources for Holy Week taken from the book Eggs and Ashes by Ruth Burgess & Chris Polhill. 15 pages. Digital download: Modern parables for each day of Holy Week, from Passion/Palm Sunday to Easter Sunday, taken from Tom's book Welcoming Each Wonder. These stories relate to lectionary cycle A and offer reflections on life and faith that help us to be aware of familiar things in a new and imaginative way. 36 pages. Digital download: Two hymns (words only) to be sung to traditional tunes – The Way: A hymn for Maundy Thursday and Easter Windows: A hymn for Easter Sunday Eve. Digital download: A guided exercise for reflecting on death and the fruits of death during Holy Week, taken from the book Dirt, Mess and Danger, by Glendon Macaulay. 1 page.